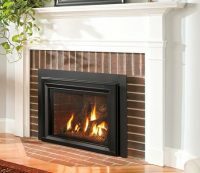 Have a drafty, inefficient wood burning fireplace? Want efficient heat and better looks? 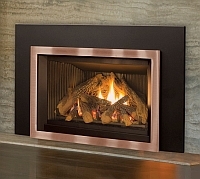 Modernize and warm your home with a heater rated gas fireplace insert. A leader in revolutionizing steady radiant heat, Miles Industries, maker of Valor fireplaces, is considered an industry pioneer in product innovation and design. For over 30 years, Miles has prided themselves on developing cutting edge technology and trendsetting fashionable products. The result is a line of gas insert fireplaces that present an impressive collection of uniquely styled trims, smart remote controls (standard) and accessories. No matter which model you choose – you are going to “Love your Valor“! 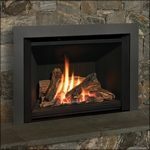 (On the Valor website, please scroll down the page to “gas insert fireplaces”, unless you get stuck wishing for one of their other great gas fireplace products!). 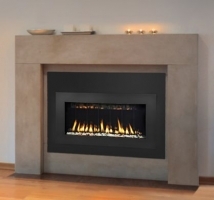 With clean, contemporary design and a generous viewing area, the Pacific Energy Ltd. Gas Firepalce Inserts will be the focal point of any room. With a variety of Design-A-Fire appearance options, each can be customized to suit any preference. The PE Broadway and Brentwood are designed to provide a lifetime of comfort, convenience and energy savings. Johnson Gas Appliance, maker of Mendota, was founded in Cedar Rapids, Iowa in 1901 and has been in the same location, making top quality gas appliances for over 100 years. Mendota is well known for having the best looking log set on the market and their great variety of fronts – over 9 styles to choose from in a variety of metal finishes – provide the perfect compliment to your decor. 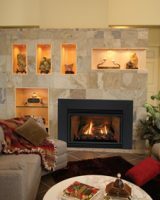 Mendota offers the right size fireplace to match your needs, with multi level burners, remote controls and quiet blowers, you’re sure to be pleased with your new fireplace insert. 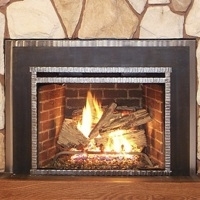 Your friends will think you set a real wood burning fire when they see the Mendota Insert in your home. Empire Comfort Systems space heating products include room heaters and wall furnaces. The Empire White Mountain Insbrook Line of Gas inserts has 3 different sized gas inserts at economy prices. While at an economy price, these inserts are heater rated and come with interior refractory and a blower. American made in a Union shop, the company was founded in 1932 and is based in Belleville, Illinois. Please click on the White Mountain Logo for the gas insert page. Jotul products are a timeless link between past and present, having their natural place in modern residential architecture. They are based on the Norwegian cast iron crafts and functional, modern design that is both innovative and at the same time resistant to short-term trends. Jotul gas inserts will add timeless beauty to your home’s fireplace and provide comfort on cold winter nights.